Last year at Wal-Mart I saw these garden wall art in the garden center area. I really liked them and wanted to buy them, but they were $20 each and I wasn’t willing to pay that price. In May I saw the Elephant Ear one and the Leaf one and they were marked down to $10 each, I only bought the Elephant Ear one. Right before the Fourth of July I saw they were marked down to $6, so I bought the leaf one. The two plaques are located on the wall next to my porch under the cover by the door. I think they are a great “welcome” pieces. I bought the Elephnat Ear one because I obviously love Elephant Ears. 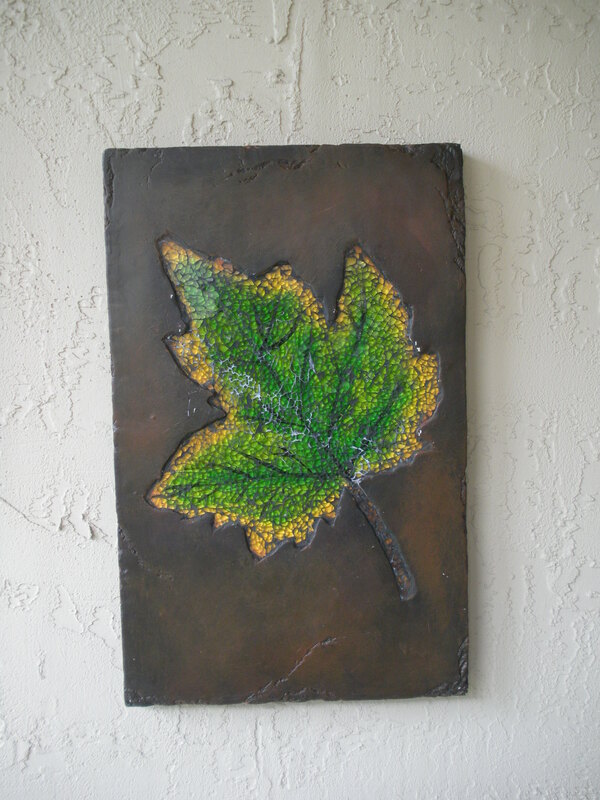 I decided to get the leaf one as well because it reminds me of the autumn that Florida is devoid of. Here are both together to show how they hang on the wall. They are crooked, but hey the stucco is hard to drill into and there were two screw holes in the back of the plaques. This entry was posted on 22 July, 2009 at 1:11 am	and is filed under General, New Additions. 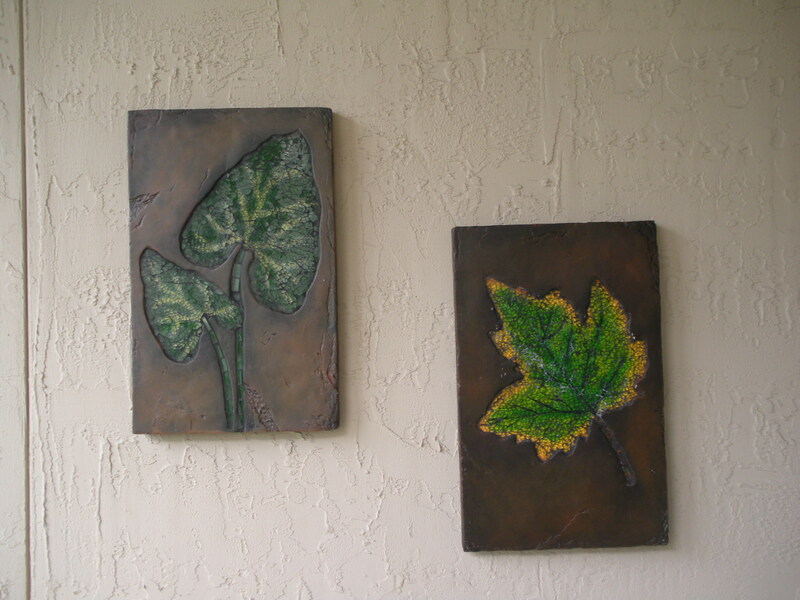 Tagged: florida, Garden Art, jacksonville, northeast florida, st. augustine, Wall Art. You can follow any responses to this entry through the RSS 2.0 feed. You can leave a response, or trackback from your own site. Oooh, I love those! 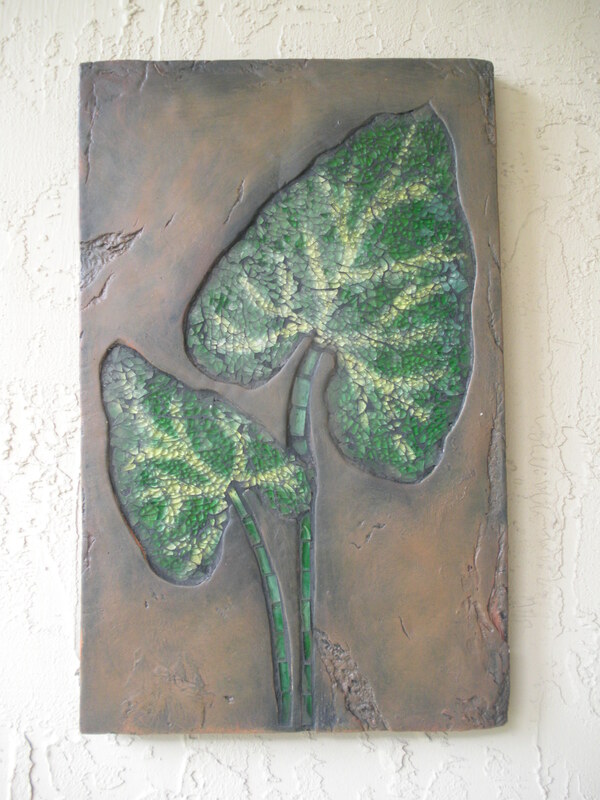 ‘Specially the elephant ear, one of my favorite plants as well. Do you have an Old Time Pottery up there? If so, check out their garden department, they have awesome stuff! Thank you, yeah I have loved Elephant Ears since I planted bulbs in my yard in Lexington, KY in 2007, they are great. No Old Time Pottery here I just looked on thier website, closes one is in Orlando.